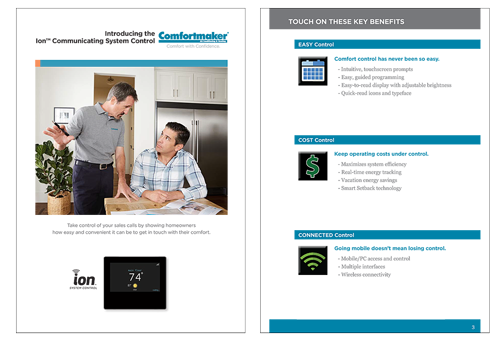 Have you checked out the new Comfortmaker® Ion™ System Control Launch Kit? The Kit includes over 20 How-to videos similar to the one you just watched, as well as a variety of materials that could send your Ion System Control sales skyrocketing. 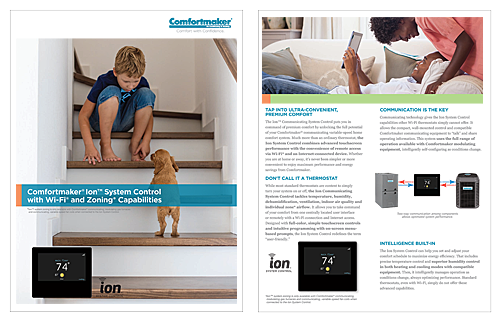 Click here to download the Comfortmaker Ion System Control Consumer Brochure. Click here to download Product Specifications for the Ion System Control. 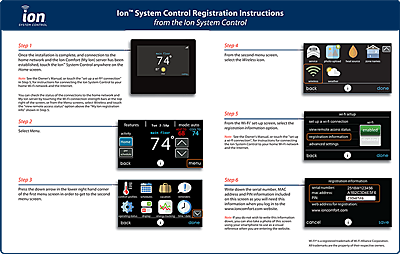 There are so many helpful marketing materials and consumer and dealer resources included in the Ion System Control Launch Kit. Ask your distributor to order yours today! 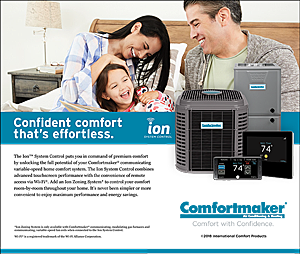 Utilize the Launch Kit tools to educate your customers on the Ion System Control and close more sales. 1Wi-Fi is a registered trademark of Wi-Fi Alliance Corporation.